Create a romantic chateau garden for the princess! When the stern Baron read out the will, the princess was delighted at first: The beautiful chateau had been bequeathed to her. However, the inheritance was tied to a certain condition...First she had to restore the unkempt and overgrown chateau garden. 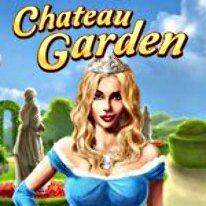 In this enchanting Match-3 game for garden lovers, you'll create a romantic chateau garden for the princess. Enjoy swapping and matching roses, mirrors and royal jewelry. And you can look forward to testing your mettle in a total of 80 levels with Bubble Shooter and Puzzle gameplay. That way you can earn enough money to create a wonderful garden.